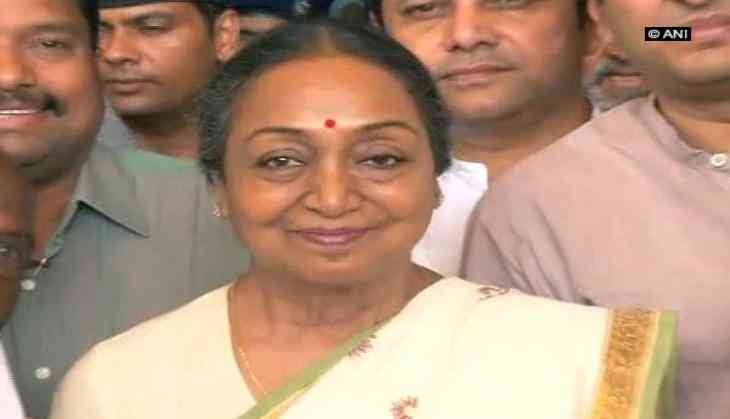 Opposition Presidential candidate Meira Kumar will be campaigning in Congress-ruled Meghalaya tomorrow to garner votes for the 17 July elections, officials said on 4 July. The NDA candidate Ram Nath Kovind will also arrive later this week to seek support from opposition regional parties and the National Peoples' Party, they said. "The Congress candidate has been scheduled to arrive here on 5 July and will address the MLAs at the annexe hall of the Assembly at 11 AM," Speaker A T Mondal told PTI. In the 60-member assembly, the Congress has 30 MLAs apart from the support of the two Nationalist Congress Party (NCP) legislators, 11 Independents and a member of the North East Socialist Democratic Party. The opposition United Democratic Party (UDP) with eight MLAs and the Hills State Peoples Democratic Party with four MLAs are yet to decide.